Jordan Brand recently added an eye-catching sneaker on their shoe lineup for the month of July – a new edition of the Jordan 1 Flight Low. 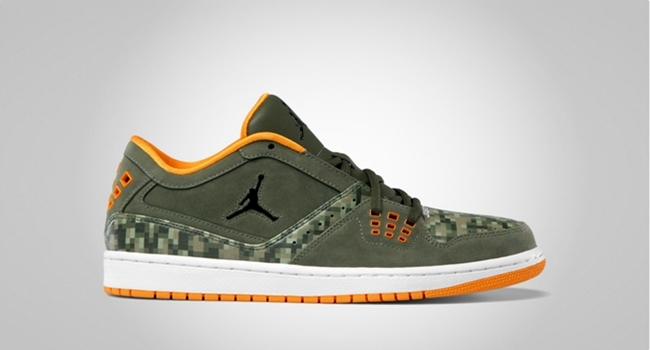 Before the end of July, JB will be releasing the “Digi-Camo” edition of the Jordan 1 Flight Low, which is officially listed as the Cargo Khaki/Black-Vivid Orange-White colorway of the kick. This silhouette sports an orange and olive military look and as the name suggests, this kick also boast a digital camouflage hints on the toebox and side panel. Make sure to look for this kick by the end of this month!